Buy more and save more! Up to 50% off invitations. 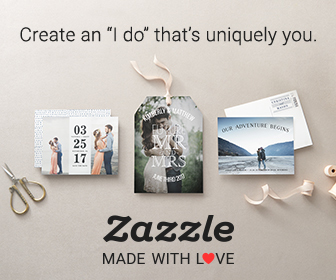 With Zazzle, your imagination is at your fingertips. Our mission is to give people the power to make anything imaginable. create-your-own products just waiting for You. If you can dream it, we’re making the technology to do it. At Zazzle, we’re on the cutting edge of real world technology that brings your imagination to life. Our innovative minds are taking on the toughest technical challenges to make customizing anything a possibility. We’re developing not just the newest software for interacting with your creations before they happen, but also the state-of-the-art hardware and manufacturing processes that turn your dreams into realities.